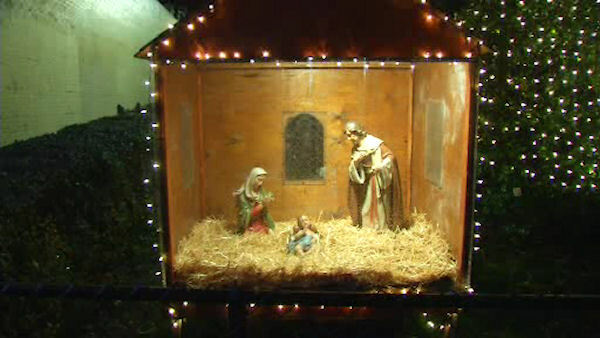 INWOOD, Manhattan (WABC) -- A church Nativity scene is now repaired after a homeless man damaged it while seeking refuge. The man broke into a wooden box containing the Nativity in the Church of the Good Shepherd in Inwood. The glass enclosure was broken, but the statues of Jesus, Mary and Joseph were not damaged. When police were initially called, the incident was thought to be a possible hate crime, until they found the man sleeping in the Nativity.